Call them “classics,” call them “standards,” call them “The Great American Songbook.” But would you call them Jewish? The writers behind these songs — Irving Berlin, the Gershwin brothers, Harold Arlen and Jerome Kern — taught Broadway to sing and Hollywood to dance, all to a distinctively Yiddishe sound. 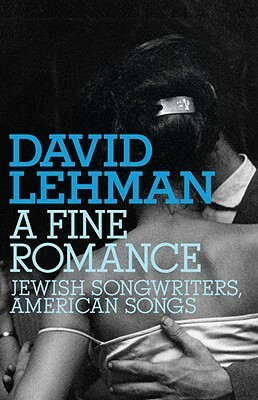 In his recent book, A Fine Romance: Jewish Songwriters, American Songs, author David Lehman explores the contribution of these songwriters to American popular songs. With classics like “That’s Entertainment,” “My Funny Valentine,” “Guys and Dolls,” “A Fine Romance” and “Come Rain or Come Shine,” these writers helped shape more than a generation of music. On Saturday, November 6, these stories and songs will come together as Lehman joins Boston Musical Theater at the Paramount Theater for the New Center for Arts and Culture’s production of A Fine Romance: Jewish Songwriters, American Songs. Lehman and Boston Musical Theater will lead the audience on a musical tour through the lives of these legendary Jewish songwriters and composers.